EMS Highway in the Port of Gdansk. 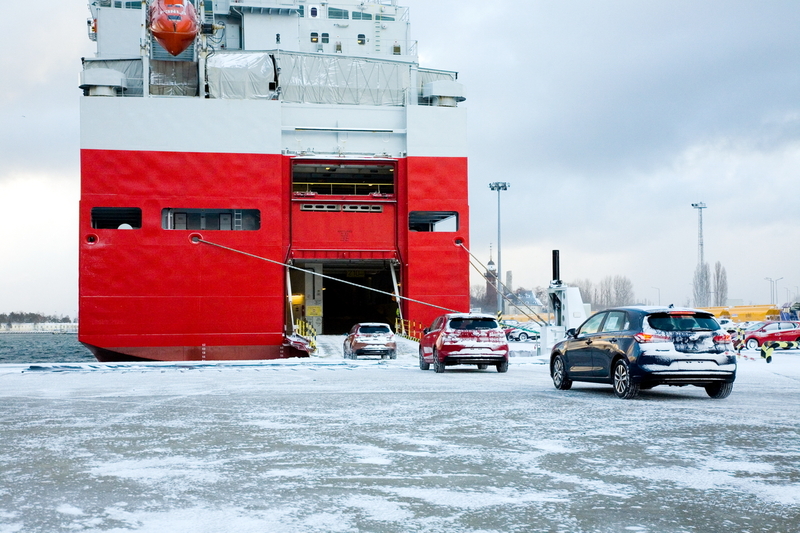 On 5 January 2017, with EMS Highway‘s call at the port and its first loading, a new regular Ro-Ro type shipping service between Gdansk and Tilbury was launched, which will call at the Port of Gdansk once a week from now on, in order to pick up Hyundai cars. 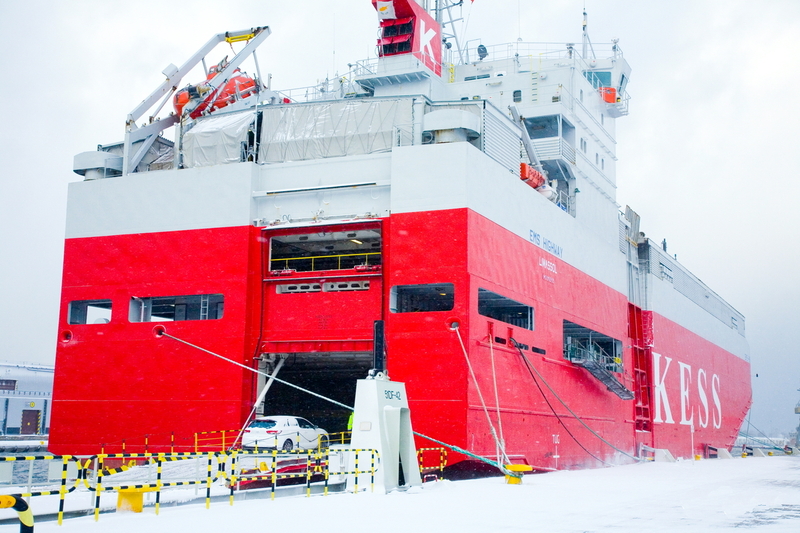 The service will be operated by vessels of one of the largest shipowners in Europe, specialising in the transport of cars and other rolling cargo, “K” Line European Sea Highway Services (KESS), which is a European short sea shipping operator transporting up to 800,000 cars a year. The service is the result of a 3-year contract concluded by one of the leading logistics operators in the automotive sector – the Adampol S.A. company – with the Hyundai concern. Hyundai cars entering the vessel through its stern ramp. 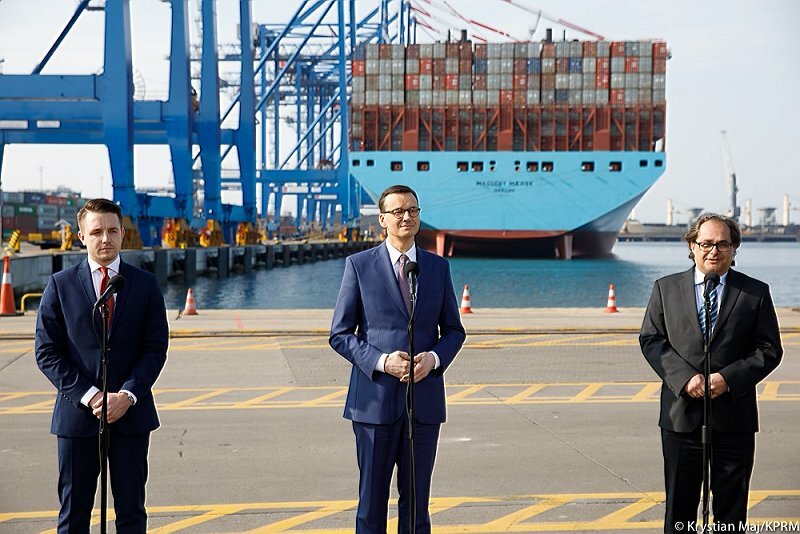 Its cars, manufactured in the Czech factory in Nosovice, are transported by trucks and trains to Gdansk, from where they are transported further to the British port of Tilbury by sea. The estimated annual volume of cars exported from Gdansk will amount to about 50,000 cars. 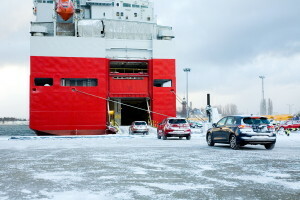 The selection of Gdansk was not accidental; the Hyundai concern, having used the Belgian port of Zeebrugge, decided to change the logistics of transporting its cars manufactured in the Czech Republic on account of Gdansk’s good location and attractive shipping prices. Established 11 years ago, the concern’s factory located in Nosovice is Hyundai’s largest foreign investment and, at the same time, its first factory in Europe with an annual production capacity of 350,000 cars. Two years ago, a leading logistics operator, Adampol S.A., opened a daughter company in Nosovice as well, thus broadening the scope of its activity by full logistics services for cars manufactured in Hyundai’s local factory. The company handles more than 1,300 cars a day there. As part of the services offered, such as storage, waxing and PDI service, Adampol is also responsible for the transport of the vehicles to all the major automotive markets in Europe and beyond. 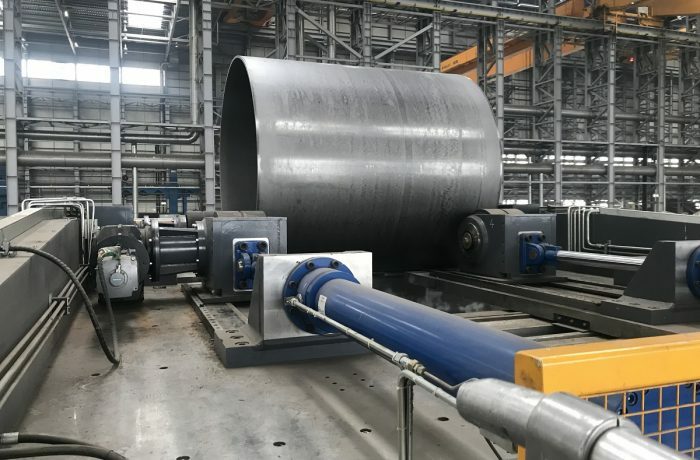 The results of this cooperation include the recently signed contract, which will be in effect until 2019. 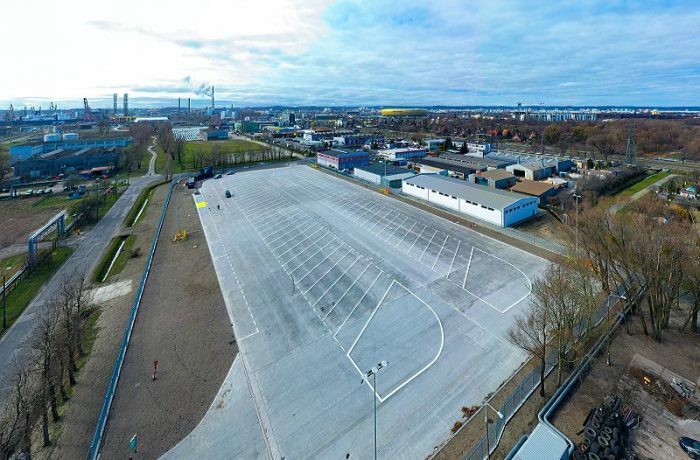 This is not the first time a large automotive concern has selected Gdansk to be the distribution centre for its cars. To date, the Port of Gdansk has handled vehicles from manufacturers such as Toyota, Chevrolet, Volkswagen, Mitsubishi, Audi and Nissan. The latter are still transported via Gdansk when imported from the British Port of Tyne.